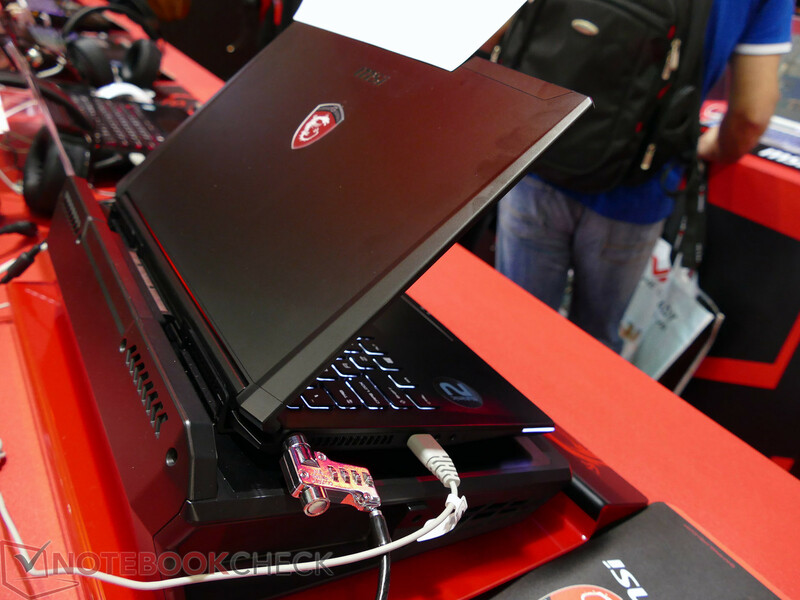 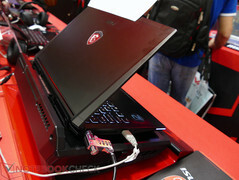 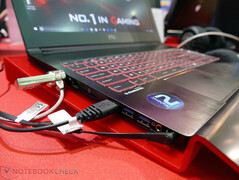 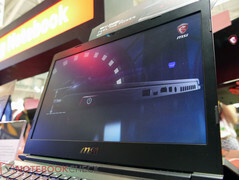 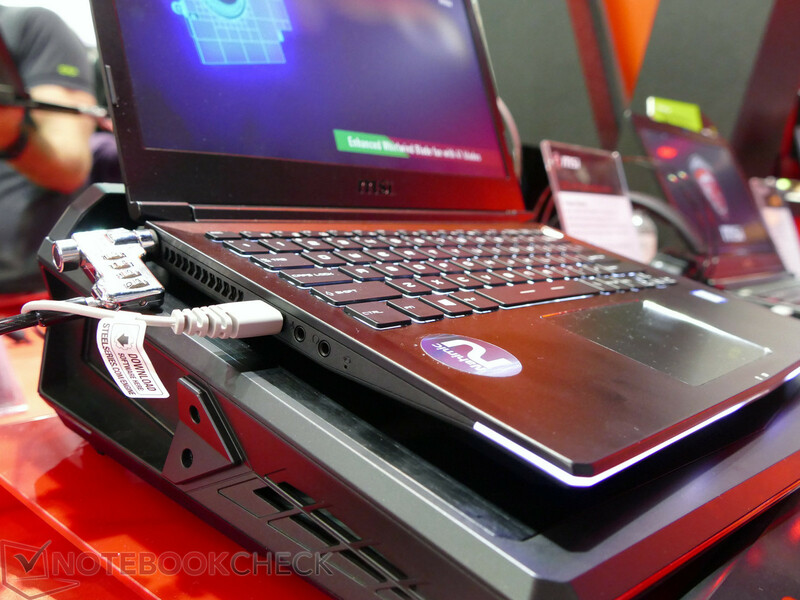 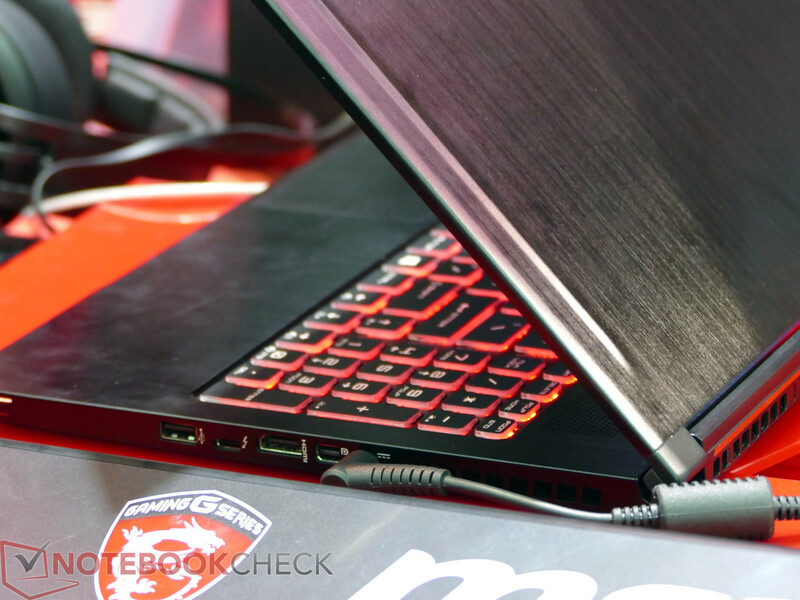 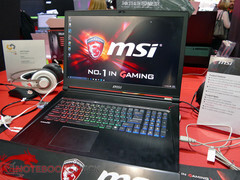 The Gaming specialists from MSI show their new mobile gaming notebooks at this year's Computex in Taipei. All notebooks should be equipped with next generation "Pascal" GPUs from Nvidia. Mobile gaming notebooks are devices with a lot of gaming performance combined with a thin and comparatively light chassis. 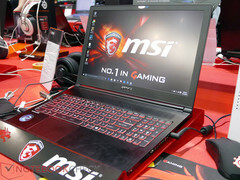 They are still very popular, which is why pretty much every manufacturer of gaming notebooks offers corresponding models. 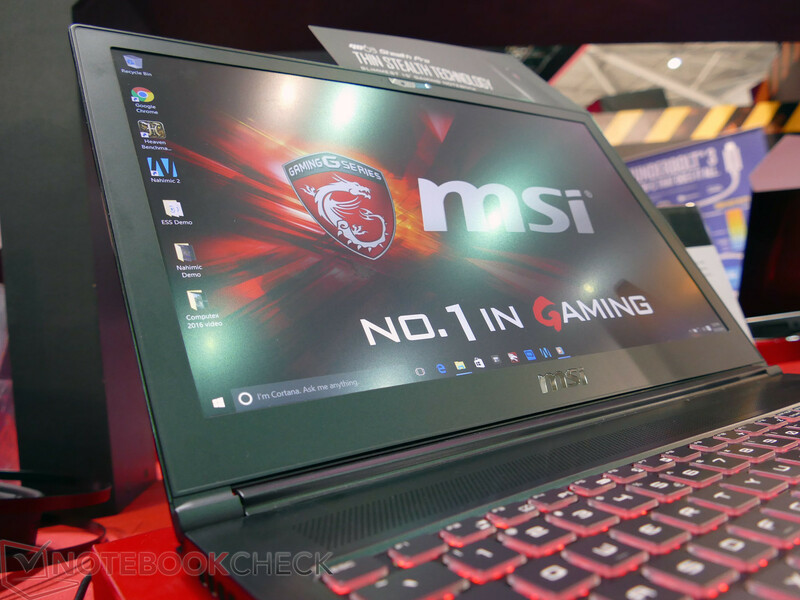 MSI takes a leading role in this segment and now announces the next generation of products. 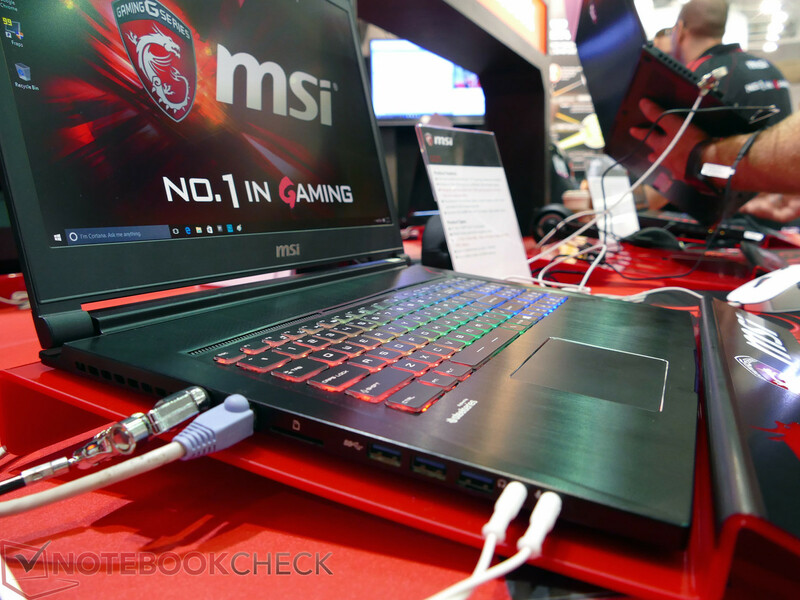 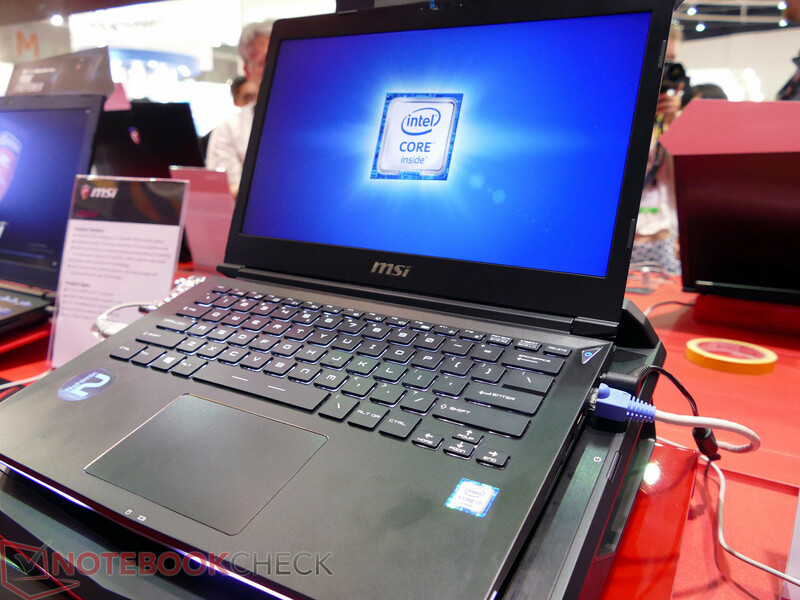 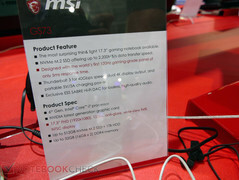 Contrary to the trend of the more powerful GT73S, MSI uses a pretty playful chassis for the GS73. 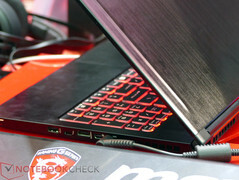 The aluminum cover of the base unit gets an angled edge on the left and right side of the keyboard, while the latter now looks like it is sitting in a depression. 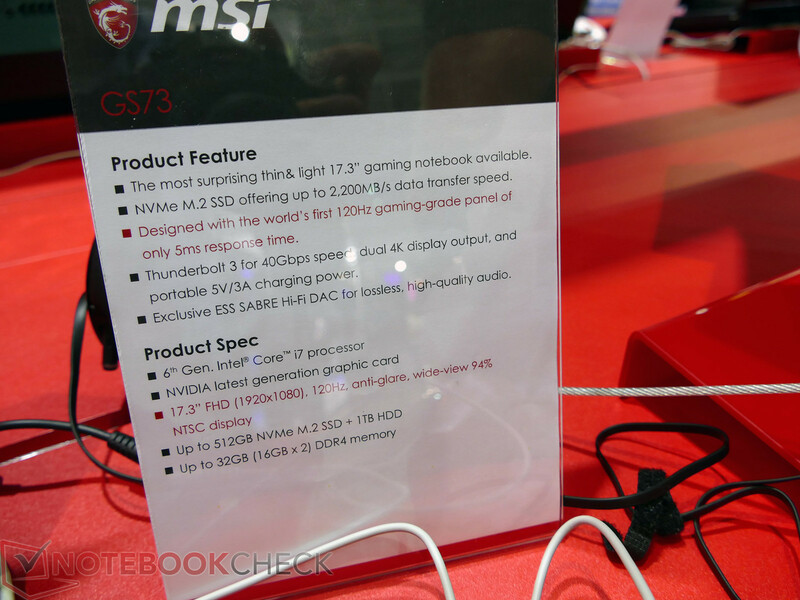 Technical highlights are the NVMe-M.2-SSD with transfer rates of up to 2200 MB/s, the 120 Hz display with a response time of just 5 milliseconds, Thunderbolt 3 as well as SABRE HiFi audio. Under the hood are Intel Core i7 processors as well as next generation Nvidia GPUs. MSI did not disclose the exact GPU models yet, but we speculate on a Nvidia Geforce GTX 1060 (successor to the GTX 970M) or even a GTX 1070 (successor to the GTX 980M) based on the information we have so far. 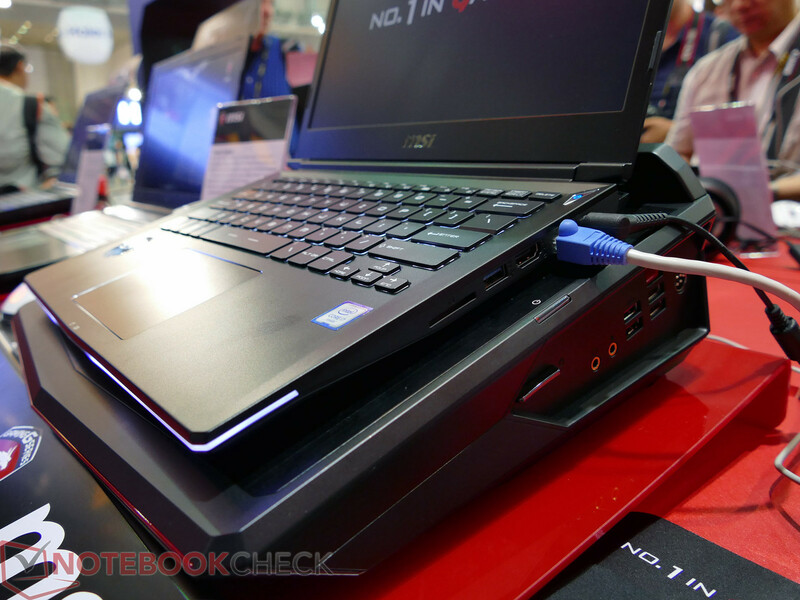 You will also get up to 32 GB RAM (DDR4) and 512 GB PCIe-SSDs. 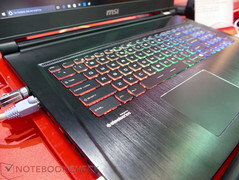 A new addition to the lineup is the GS63, a thin and light gamer with a 15-inch screen. 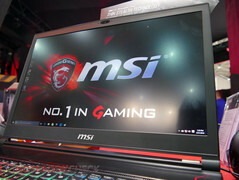 The device clearly differs from the bigger GS73 in terms of visuals and with its simpler and flat surfaces, it has more similarities with the previous GS70 series. The equipment is very similar to the bigger sibling, but you will have to waive the fast display (you get FHD, IPS, matte), which is probably only available in the 17.3-inch form factor right now. Besides NVMe-SSD, DDR4-RAM (up to 32 GB), Thunderbolt 3 and SABRE HiFi audio, you get i7 processor from Intel and next-generation Nvidia GPUs with the code name "Pascal". We would once again expect a GTX 1060 and GTX 1070, at least if they will actually have this designation. 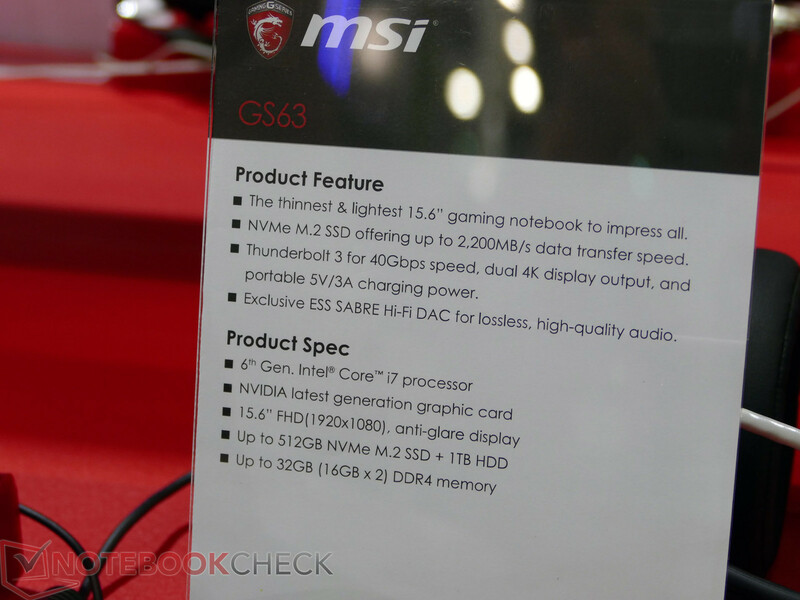 The smallest model in MSI's thin & light gaming lineup will be the GS32 from now on, which will complement the current GS40. 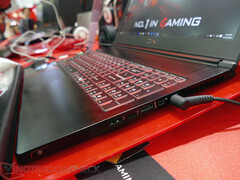 Besides a 13-inch FHD-IPS display, NVMe-SSD, Nahimic Audio and up to 32 GB memory, the GS32 will also be equipped with Intel i7 chips and Nvidia GPUs. We are eager to see the model MSI plans to use. 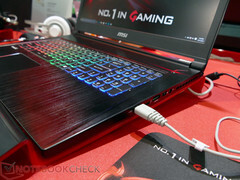 Is the cooling performance sufficient for a GTX 1060 (successor to the 970M) or will it be a slower model. 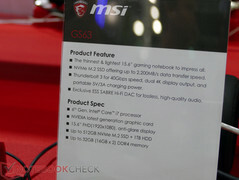 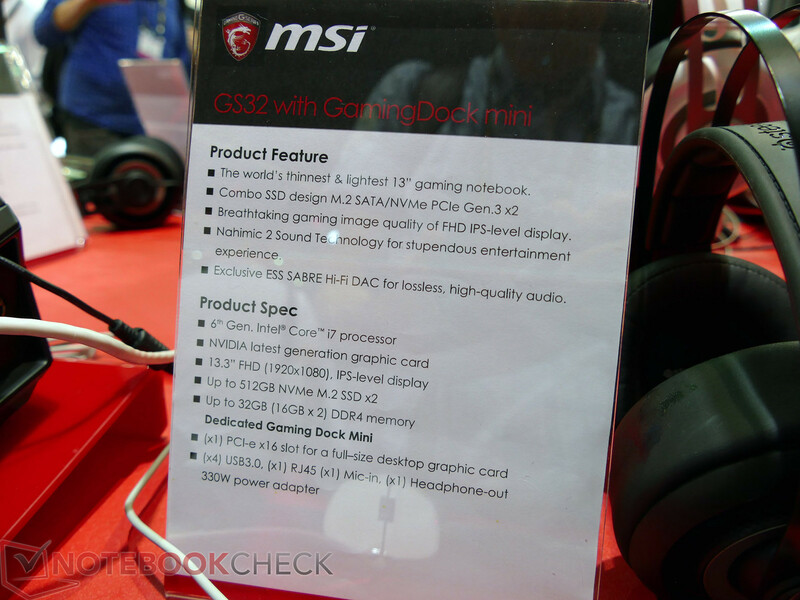 MSI will offer the GS32 in combination with a Gaming Dock, which will be attached via Thunderbolt. Thanks to a 330-Watt power adapter, the dock might be able to manage much more powerful GPUs for the GS32. Another question is if the GS32 will be available in Germany, because the market clearly prefers bigger gaming notebooks.